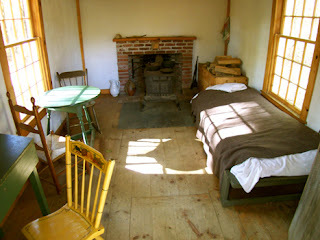 If we are thinking of the archetypal low cost home in history, the classic has to be that of American author, environmentalist and social commentator Henry David Thoreau. 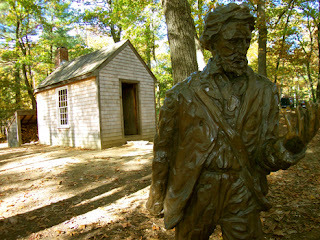 Namely, the cabin he built at Walden Pond, near Concord, Massachusetts, in March of 1845. Henry dressed for a non- stone carting day. Henry David Thoreau had dreamed of building a low cost home near a pond for years, perhaps starting with the six weeks in the summer of 1835 that he spent living with his Harvard classmate Charles Stearns Wheeler. Wheeler had built a one-room shanty near Flint’s Pond, in Lincoln. Henry David Thoreau had plans to buy land near Flint's Pond but it fell through, and the idea was carried for ten more years, before it came to fruition at Walden Pond. 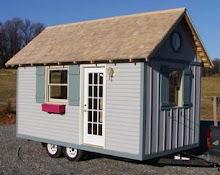 More accurately described as a small house than a cabin, Henry David Thoreau's design followed a traditional model of many low cost homes of the period. It was well built, and more than adequately stood up to the area's often cold winters. The original has long since been destroyed, however its whereabouts were rediscovered by Roland Robbins in 1945. Robbins himself built a replica nearby Walden Pond. 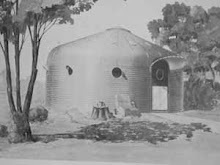 For US$30 you can actually buy the plans for the cabin that Robbins drew up, and were used to create the replica pictured above. Go to the Thoreau Society website to purchase them, and have them sent to you in hard copy. (If building a thousand brick hut sounds too onerous, there is also a free downloadable paper model version here). We have bought the plans - they're lovely to set out on the kitchen table). It's nice to think Henry David Thoreau would approve of people having access still to an open-source, low cost plan; and purchase helps with protection of the Walden Pond site. In other ways Thoreau would perhaps not approve of a low cost building by numbers approach. In Walden Henry David Thoreau states his belief that architectural beauty comes from the unique character of the home dweller, even if Walden Pond has become a collective cultural dream site. A lovely idea to keep in mind, and in this spirit a nice, personal version (not a replica) of Walden has been made by Jim Cadwell. You can follow the process of construction on his website here. Then there are Walden Pond-like projects, amongst them this one on Prince Edward Island. 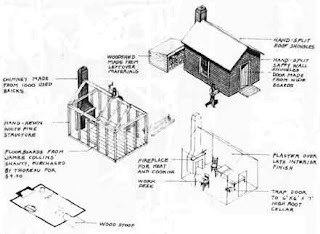 In Walden, Henry David Thoreau not only outlines his philosophy which underlay his decision to build at Walden Pond, but also much of the building process also. I highly recommend it for both reasons. The Walden Pond building was made as an experiment in basic living, to "learn" from nature, but also in which to work. In terms of the latter it was most successful - the two years spent at Walden Pond were amongst Thoreau's most productive periods of writing. Despite the legend of Walden Pond, the house was not isolated, rough, or on squatted land. It lay less than two miles from his family home, and from town, on the property of Ralph Waldo Emerson, who had bought fourteen acres in 1844. Use of the land was "paid for" through basic maintenance of the surrounding woodlands, clearing land of briars (where Thoreau planted beans for himself), the replanting of trees, and building of fences. As his friend Ellery Channing put it, other than that Thoreau was free to “devour” himself alive if he so wanted (a terrible thought!). Henry David Thoreau spent just over two years at Walden Pond (never considering it a permanent home) and it returned to Emerson when he departed. Perhaps eventual ownership was another incentive for Emerson to lend the land. The hut was one room of 10’ x 15’ (4.57 x 3.05m), it also contained a wood shed, and cellar dug into the side of a hill. I assume there was also an outhouse (in Henry David Thoreau's time, chamber pots were used indoors). Walden Pond served for washing and cleaning in the warmer months. 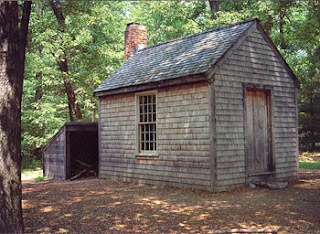 Walden's materials were the ideal low cost building approach - a mix of free materials (timber from trees, stones and sand from the Walden Pond banks), reclaimed materials (he bought a dilapidated shack and reduced it to bare materials, all in one morning), and only the most basic supplies from town. In Walden he states that, in reality, man needed only a cave to survive, but in modern society lime and wood are easier to come by. In brackets I have given a (very) approximate conversion into today's money. Considering a day's wages was approximately $1 in 1845, a rough sense of the costs involved can be gained by multiplying each figure an average day's wages today. For ease I have done so by about 100. We can assume the whole project cost somewhere between $1,500 and $3,000 - cheap in anyone's books! 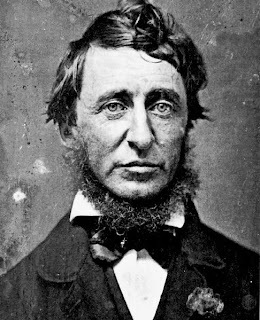 Henry David Thoreau compared the cost of building his house as similar to the cost of one year's rent on his college room. Thus, the idea (he raised in Walden) was that students should build their own accommodation, and avoid being indebted to property speculators and landlords. He states "In the capitalist system the students lose thrice: first, they have the extra expense, second, they experience idle leisure, and third, they don't gain practical experience." Writing on large wooden boards also helped save Thoreau money. Much of the labor was done by Henry David Thoreau himself, using skills gained having assisted in the building of houses previously. 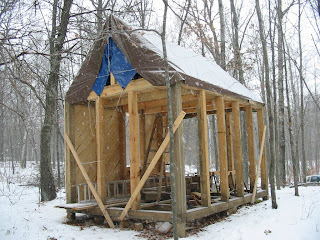 The sides of the building were done on the ground, then raised onto a stone foundation, and a roof added - the latter with the support of a small group friends. Famously, Thereau borrowed an axe to complete Walden Pond, which he proudly returned "sharper than when he borrowed it". Several other tools were later acquired - including an abandoned axe which he found in the forest. Some would call a bronze self portrait in the front garden an extravagance. In a month Thoreau had cleared the land (the first part of his 'deal'), and by the first year at Walden Pond Thoreau built his house and established substantial crop gardens for himself, enough to have a surplus in which to trade. "I left the woods for as good a reason as I went there. Perhaps it seemed to me that I had several more lives to live, and could not spare any more time for that one...I learned this, at least, by my experiment: that if one advances confidently in the direction of his dreams, and endeavors to live the life which he has imagined, he will meet with a success unexpected in common hours.... If you have built castles in the air, your work need not be lost; that is where they should be. Now put the foundations under them." Thank you so much for these infromative and inspiring articles! Excellent ideas abound! 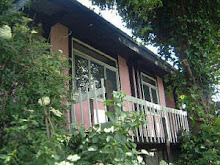 I found this looking for info about the cabin at Walden Pond. This is great information. Thank you! 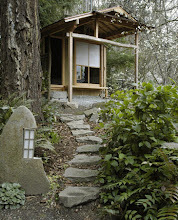 I am planning to build a Henry Thoreau house in South Korea and wondering how you build a Thoreau house. Can not find your e-mail address so I will leave mine.